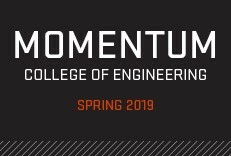 The Oregon State University College of Engineering’s Strategic Plan 2015-2020 details four goals and objectives around community, academics, research, and partnership that support one overarching vision: to create a better future. 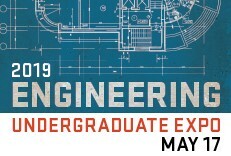 This plan, developed in support of the university’s strategic plan, will further establish the College of Engineering as an institution that transforms lives and enhances society through impactful education and research. The college’s marketing and communications plan is developed to enhance the college’s credibility and reputation. Its strategies and tactics reflect the vision, mission, core values, goals, and objectives of the strategic plan. Its successful implementation requires communicating consistent messages and presenting a unified, integrated look. I ask that you familiarize yourself with the Sub-Brand Identity Guidelines and diligently apply them in all you do as we collectively work to advance the College of Engineering. Implementing the college’s advancement communications plan: Major advancement communications tactics within the plan include alumni magazines, Momentum magazines, recruitment materials, advertising campaigns, social media, school and college websites, publications in support of development efforts, research video series etc. 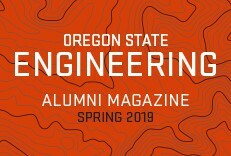 Ensuring alignment with the Oregon State brand by following the university’s brand governance system: Members of the Advancement Communications Group serve as brand managers and delegates within the university’s brand governance system to ensure cohesive branding. In this capacity, we review and approve all externally facing materials for brand compliance. The college's brand managers are Thuy T. Tran, Chris Palmer, and Jens Odegaard. All other members of the Advancement Communications Group are brand advocates. Providing tools and creatives services to subunits within the college: Our sub-brand guide, training videos, and templates are found below. In addition, our expert staff can help you successfully promote initiatives and programs with clear, consistent, engaging communications. Our services include marketing strategy consulting, project management, creative concept development, copywriting and editing, graphic design for print and digital media, photography, media communications etc. When we do not have capacity in-house to support your projects, we may outsource projects to University Relations and Marketing and external freelance service providers. The logos below must be used in accordance with university guidelines.